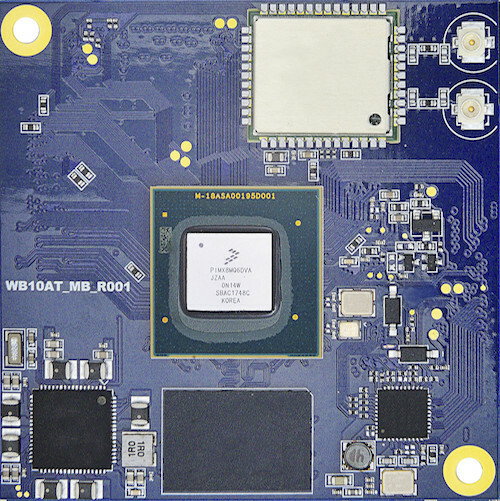 Taiwan based Innocomm Mobile Technology has been working on their own NXP i.MX 8M quad core system-on-module – namely WB10 – which includes a wireless module with WiFi and Bluetooth, as well as a Gigabit Ethernet transceiver. 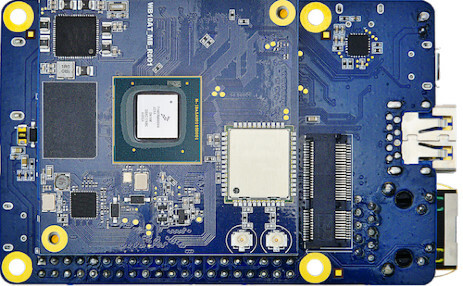 The module connects to the carrier board through three 80-pin board-to-board connectors exposing many of the I/Os provided by the latest NXP processor. No word about software support, but we should expect the usual Android and Linux BSPs. 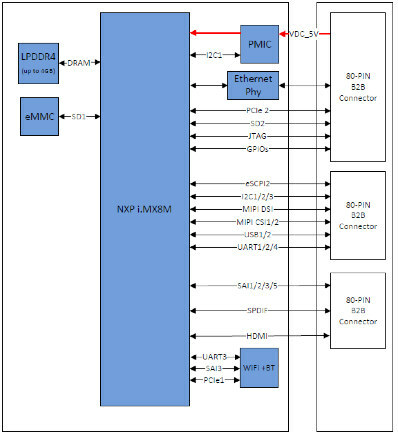 The company also provides a development kit with the module and a baseboard with Gigabit Ethernet, HDMI port, USB type C port, mini PCIe slot, 40-pin I/Os header, and likely more, but I just don’t know since the only public information is the photo below. InnoComm i.MX8M SoM is said to targets the Audio Video streaming applications such as Internet Audio, Entertainment and Home Audio, as well as Internet of Things and industrial applications. It’s unclear whether the module and development kits are available now, but you can request a quotation via the product page or inquire for more details.